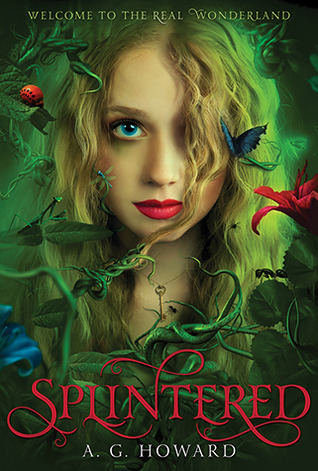 I was intrigued by Splintered. It's a retelling, which is awesome; its cover is stunning (and even more so in person); and I'd heard a lot of good things about it. So when I was in the mood for something light and different, I picked up my copy and started reading. And from there, well...I didn't quite fall down the rabbit hole. Part of my problems with Splintered may have to do with my reading it during a book slump (which I'm still kind of in). It started out pretty good, but then we entered Wonderland and I started getting bored. It took me a month to get through this book, and a lot of times I had to force myself to read and get through just one chapter. It's not that this was a bad book (as I said earlier, a lot of people love it). Something just didn't work for me, and I got to a point where I just wanted to be done with this book. Maybe it was my slump, maybe it was that so much was happening in Wonderland and there was this and that and I just got kind of lost and it was all too much and kind of messy. I don't know. That said, Splintered did have its positives. I didn't mind Howard's writing, though I was slightly annoyed with some of Alyssa's thinking and explanations for things. The author did manage to create a very interesting and creative world, with all kinds of elements. While I didn't love this book, I wouldn't say no to reading something else from Howard. There was an interesting cast of characters. It's told from the POV of Alyssa, who's a descendant of Alice--as in the Alice, you know, the one from Wonderland. For the most part, I didn't mind Alyssa or reading from her POV. But because of some things Alice did, all her females descendants are cursed with a cuckoo gene. While Alyssa hasn't been affected yet (though she can "hear" bugs), her mother has and is an asylum. In order to save her mother and break the curse, Alyssa decides to go to Wonderland to fix what Alice did. However, she's not alone. Her best friend and longtime crush Jeb goes with her. While I got slightly eh about him at points, I really did like Jeb. He was pretty good to Alyssa, and he had some swoony features. While in Wonderland, they come across a number of residents, including someone Alyssa knew as a child: Morpheus (aka the smoking caterpillar). While Morpheus is a mess of a person, I liked him, even if his morals were a little crooked. Did I like it? I guess. I didn't quite dislike it. Would I reread it? Most likely no. Who would I recommend it to? Fans of Alice in Wonderland and Tim Burton-esque crazy. The cover of this book is SO pretty... but I haven't gotten around to reading it. I wasn't in love with the Tim Burton movie, so IDK if this one will be for me or not. BUT the cover is gorgeous!! Sometimes I find books do improve on a reread! I recently reread Splintered, and I think I got more out of it the second time. 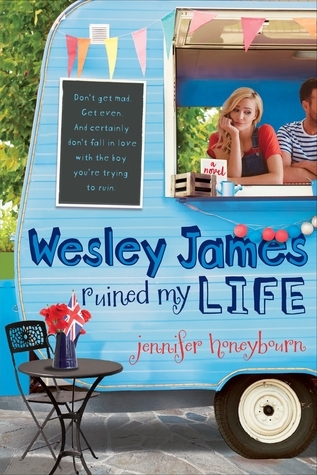 And yum, its cover really is beautiful. Wow that cover really is gorgeous. I understand what you're saying about her thoughts and explanations for things, if a POV character's inner monologue is frustrating it's hard to like the book!